WeedHub | THC Biomed Ltd. | THC Biomed International Ltd. Licensed Producers / THC Biomed Ltd.
THC BioMed International Ltd. is a producer of medical marijuana in BC, strategically located in the beautiful city of Kelowna. THC BioMed began in 2012, under the name THC Medical Systems Ltd., with a focus on conducting research & development of medical marijuana. Since obtaining a license to cultivate and sell, they have stayed true to their roots as a scientific, biotechnological company. THC BioMed Itl. Ltd. believes that the burgeoning medical marijuana industry should be supported by substantiated scientific data and evidence to break down barriers to understanding and ensure that patients are able to medicate safely and responsibly. As a Health Canada Licensed Producer, THC Biomed Itl. Ltd. is authorized to sell medical marijuana and cannabis oil to patients with a valid Medical Document. To become a client, visit their website and complete the simple online registration form. 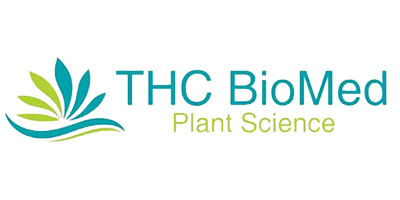 If you have any questions about the services and technologies provided by THC BioMed International Ltd., visit their website or contact them directly by phone or email.